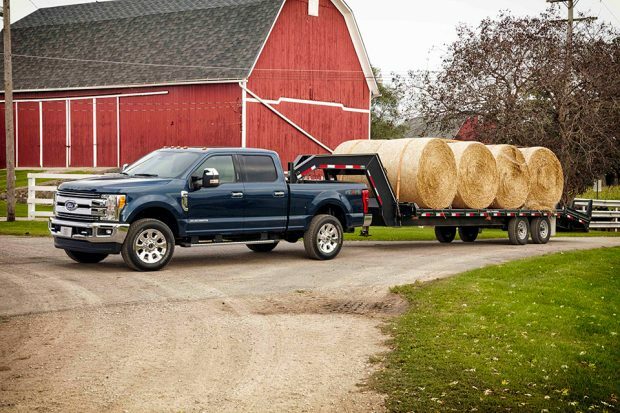 Ford has officially announced the new 2017 F-Series Super Duty trucks, and they will be getting a big power upgrade. The trucks are available with 6.2L gas V8, or a 6.7L turbo diesel V8. That big diesel has all the power and torque with 440 hp and and insane 925 lb-ft of torque at command – that’s an improvement of 45 lb-ft. over the previous model. The gas engine has 385 hp, and 430 lb-ft. of torque, a 25 lb-ft. upgrade. 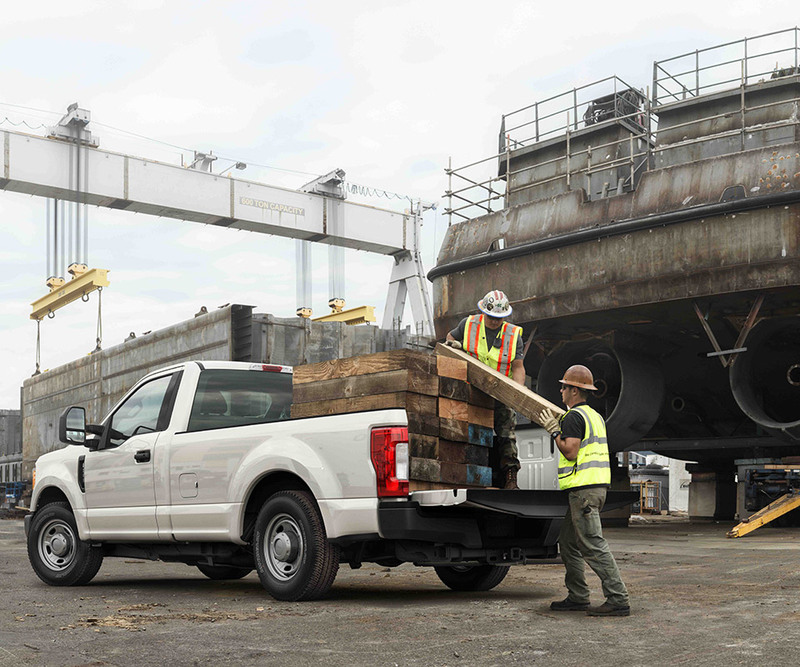 Both the diesel and gas V8s are available in the F-250, F-350 and F-450 models. 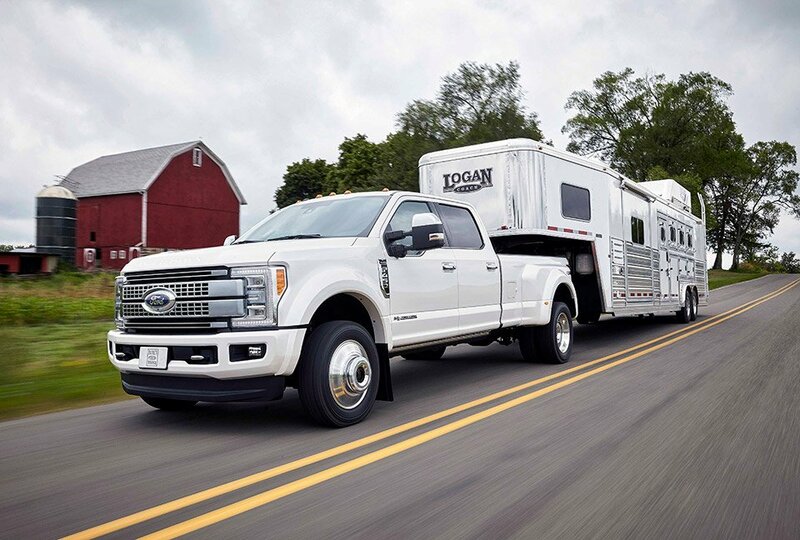 The turbo diesel engine in the F-450 gives a 32,500 pound gooseneck tow rating, fifth wheel tow rating of 27,500 pounds and conventional tow rating of 21,000 pounds. Payload capacities can go up to as high as 7,630 pounds. Ford is also fitting these trucks with some cool tech like blind spot monitoring with trailer tow, adaptive cruise control that works even with the heaviest tow loads, and trailer reverse guidance. That last bit is important for those that need to tow a trailer, but aren’t that good at backing up. The new Super Duty range is made with aluminum bodies reducing weight by up to 350 pounds compared to the outgoing models. Their frames are fully boxed and use more than 95% high strength steel making them up to 24 times stiffer than the previous frame. 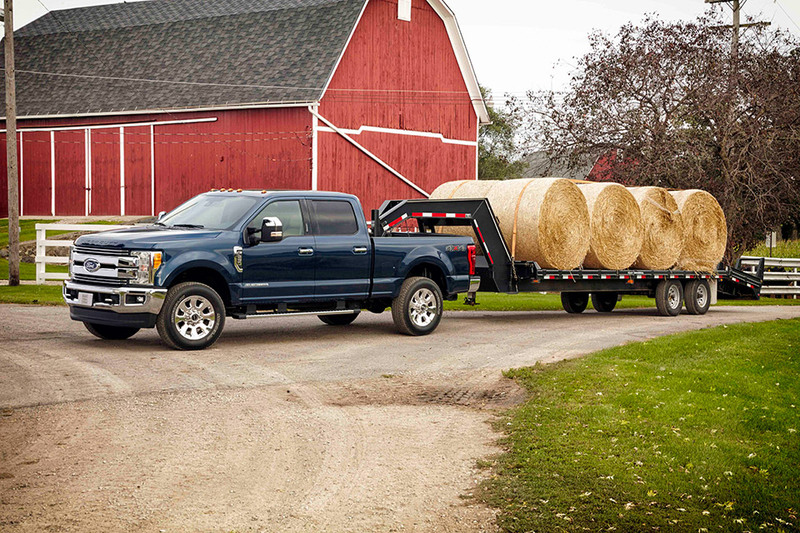 The 2017 Super Duty range will go on sale this fall.